I don't have children, but my sister is doing an awesome job encouraging and modeling healthy eating and exercise with her kids. My five year old nephew would love this lunch box! Bagel and cream cheese is our go to with veggies and fruit! 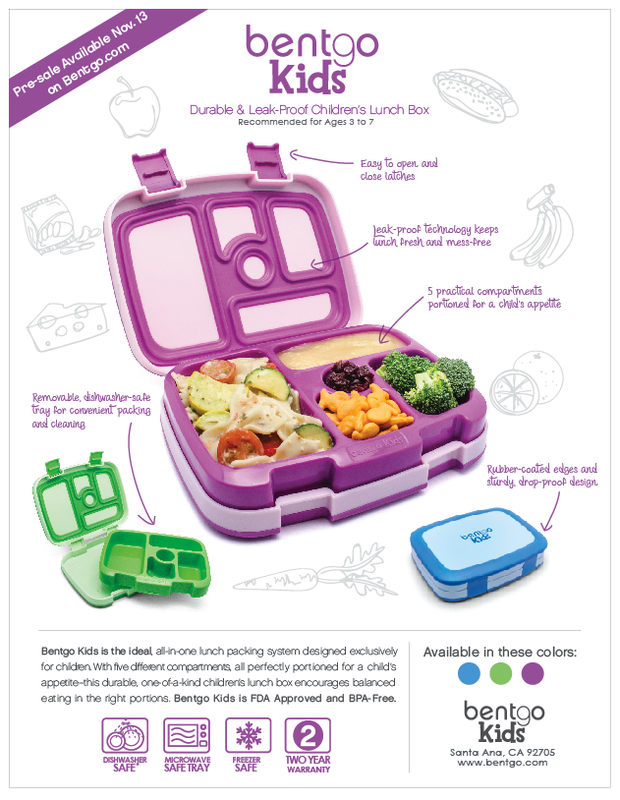 I like that the compartments encourage a balanced meal with a few healthy choices! Love it! Portion control combined with "a place for everything and everything in its place." Different things every week, my kids get bored and do not like to have the same lunch. My 4yo would love this! She likes to keep things separated. I usually send half of a jelly sandwich, some kind of fruit, and some pretzels.